South Korean researchers have developed an artificial intelligence (AI) system that can detect four major lung diseases - lung cancer, tuberculosis, pneumonia and collapsed lung – more accurate than human doctors. The research team led by Seoul National University Hospital radiologist Park Chang-min and local software developer Lunit said on Monday that the accuracy of their AI diagnostic system reached over 98 percent in the identification and location of lesions in patients with the diseases. Findings from a study to evaluate the AI system was published in a recent issue of JAMA Network Open, a publication from the Journal of the American Medical Association. The four major lung diseases has a high prevalence and mortality rate around the world and early and accurate diagnosis is key to life-saving treatment. 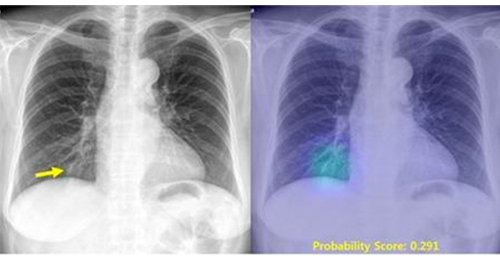 The research team said a total of 98,621 chest X-rays related to the diseases were used for their machine learning system. A test of the system’s diagnostic accuracy conducted five Korean and overseas hospitals including Seoul National University Hospital and Grenoble Alpes University Hospital in France reached over 97 percent on average. In another test to compare performance with 15 human doctors, the AI system showed an accuracy rate of 98.3 percent, higher than 93.2 percent in doctors. The new system will be applied to real-world practice after marketing approval from the Ministry of Food and Drug Safety in Korea.